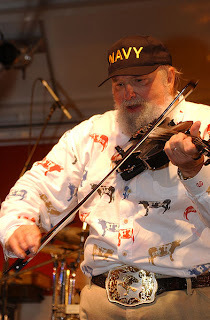 NASHVILLE, TENNESSEE (BNO NEWS) -- Country music icon Charlie Daniels, 73, suffered a mild stroke while snowmobiling in Colorado last Friday, a spokesperson said on Tuesday. Daniels, who is best known for his number one country his The Devil Went Down to Georgia, was initially taken to Mercy Regional Medical Center in Durango before being airlifted to Swedish Medical Center in Denver. Daniels was released on Sunday after which he returned to his home in Colorado, where he has been on vacation since late December. A spokesperson said there are no plans to cancel any concert dates, and said he is doing well and looking forward to beginning The Charlie Daniels Band 2010 concerts on February 27 in Ft. Pierce, Florida and February 28 in Brooksville, Florida. "Charlie and his family appreciate and are grateful for everyone's thoughts and prayers during this time," the spokesperson added.